For me, my ‘Winter staples’ tend to alter slightly from year to year – this usually has something to do with what I happen to be most obsessed with that year! However, on the whole, the same pieces seem to crop back up and make their way into my regular/everyday outfit picks. 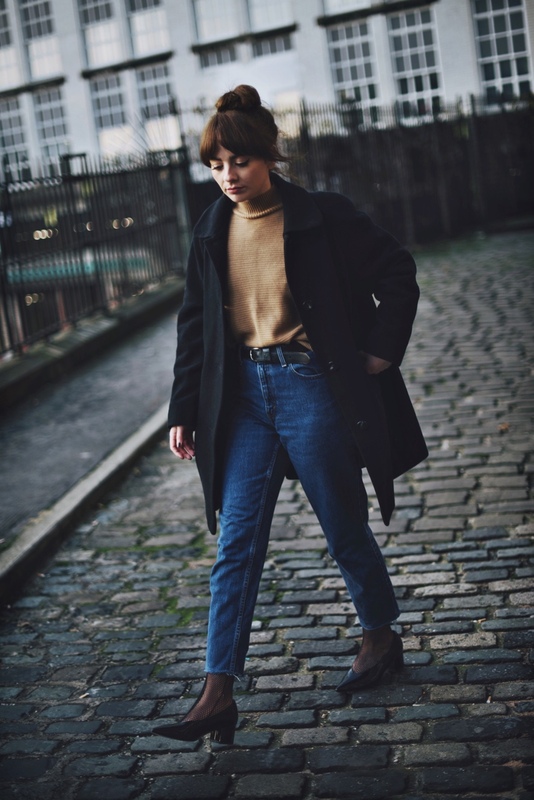 Something that always, and will always, be a favourite has to be a classic camel high neck jumper. It’s just one of those pieces that suits everyone and instantly makes me feel Winter-ready. It’s perfect with everything from a pair of vintage jeans to a patent A-line skirt, and happens to look GREAT layered under a dungaree dress. It’s ideal for work, but also looks lovely jazzed up with some gold earrings and a slick of red lipstick – you literally can’t go wrong. 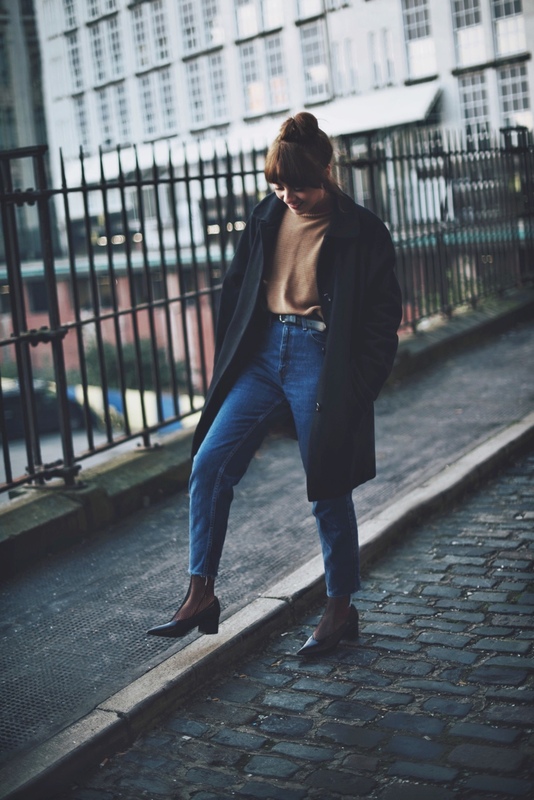 My second winter staple would have to be this pair of vintage Levi jeans – another timeless classic in the indigo shade that I love so much, particularly at this time of year. A lighter wash just doesn’t have the same Wintery feel, or match so beautifully with the camel jumper! 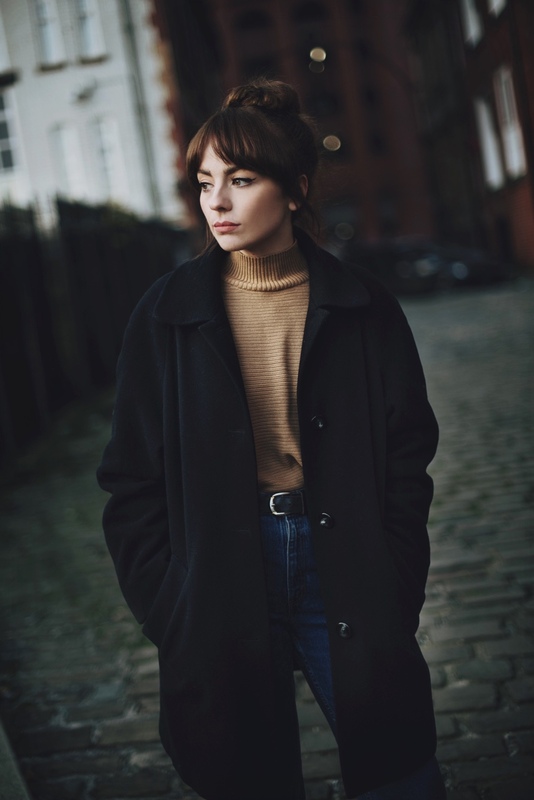 Vintage jeans can be a pain to find – Manchester doesn’t have the largest array of vintage shops, and online shopping for vintage can be a bit of a nightmare unless you’re prepared to spend half an hour with a tape measure. And even then, they don’t always fit how you imagined in your head, often leading to disappointment and a back-to-square-one scenario. BUT – when you do find the perfect pair, it feels like quite the accomplishment, and the start of a life long love affair. This brings me to my next winter staple – a classic black wool coat. The kind with buttons straight down the front, and a structured collar that makes you feel like a school kid again. This is a coat I have had for a few years now, and have become somewhat attached to. It’s the most perfect over-sized fit and it keeps me so very warm – that’s basically all I can ask for in winter coat. Investing in a decent black coat is something you will never regret – it matches with everything, and can be dressed up and down until your hearts content. Last but not least – a pair of pointed shoes! Even better if they are patent, and paired with some fishnets for full affect. 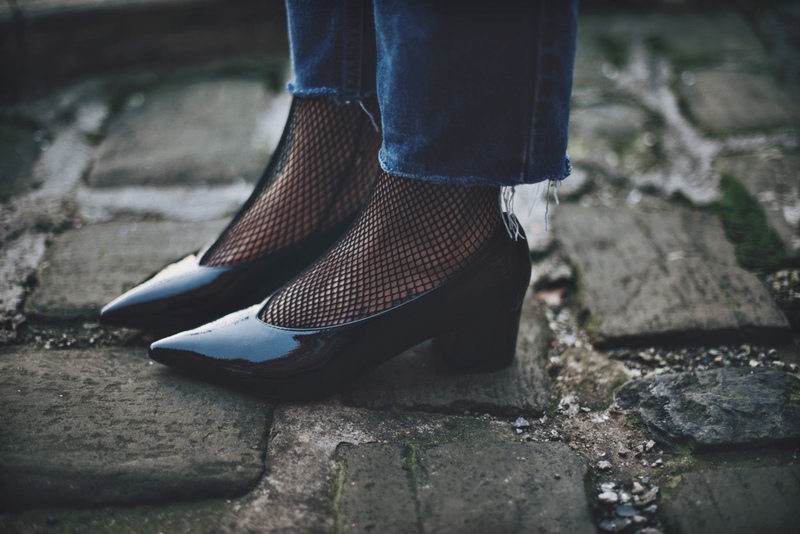 I’ve harped on about pointed shoes for quite a few blog posts in a row now – so for fear of sounding like a broken record, I won’t bore you with another paragraph on why they appeal to me so much. 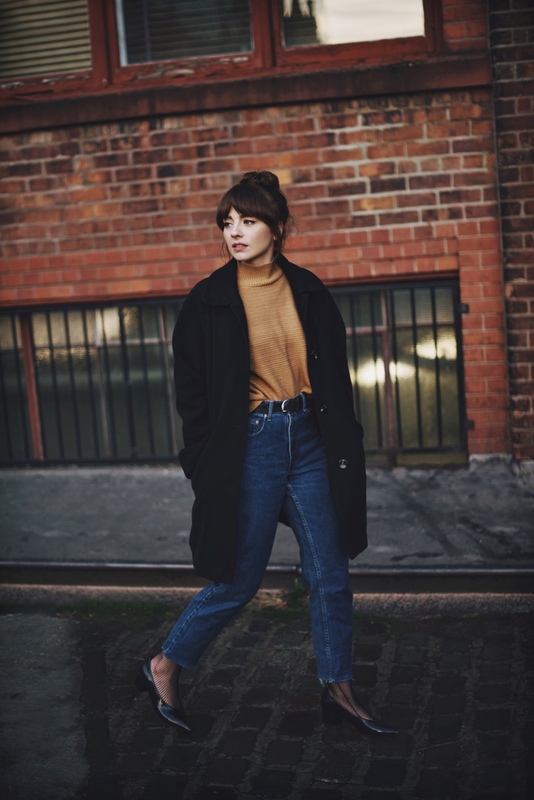 I hope you enjoyed this brief little insight into my Winter wardrobe must haves – what do your Winter staples tend to consist of? I’d love to read in the comments below, and I hope you all have an amazing week ahead planned!